The JLink shield is used to hook bluz to an external programmer. This can be useful if you want/need to reprogram bluz down to the bare metal or replace the bootloader. The JLink shield can be used with external programmers such as the STLink v2 or Segger JLink programmers. 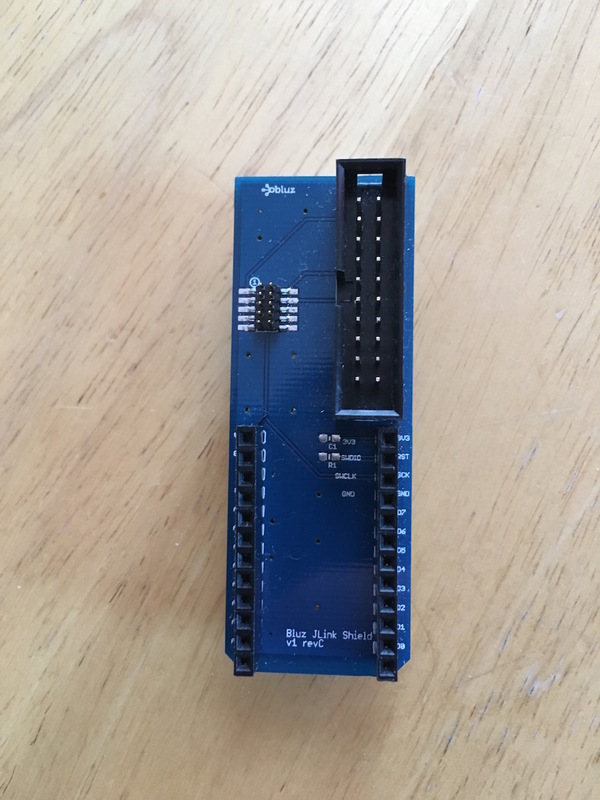 The shield has both a 20-pin standard JTAG connector and a smaller connector for 9-pin programmers, such as the JLink Lite. More details about how to program bluz using an external programmer can be found on our GitHub page.